Eight Adult teams competed for the title of the ISU Adult Figure Skating Champion 2017 in the beautiful town of Oberstdorf in Germany. Team Ice Elegance from Finland won the gold. Although the World Championships ended in April, the skating session has not yet ended. This Saturday eight teams from Czech Republic, Finland, Hong Kong, Sweden, and Switzerland competed against each other in the Adult category in the Oberstdorf edition of the ISU Adult Figure Skating Championship 2017. 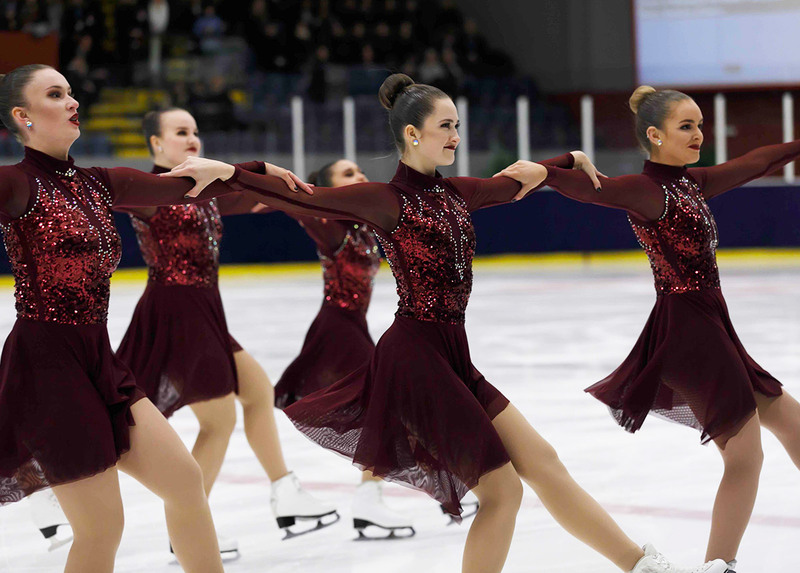 The champion Team Ice Elegance from Finland, who was the silver medalist in 2015, danced to the theme of “Bollywood’ in sharp red dresses. They skated cleanly with speed and dynamics. Their circle and line elements were both called at Level 4 and earned a score a total of 42,60 points. The second to fourth places came close. Silver medalist Team All Stars of Czech Republic skated to a medley of Beatles music. They skated with speed and well-executed move elements. 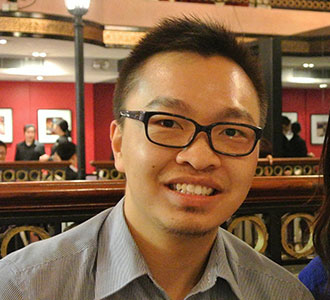 They earned their medal with a total score of 38,10. 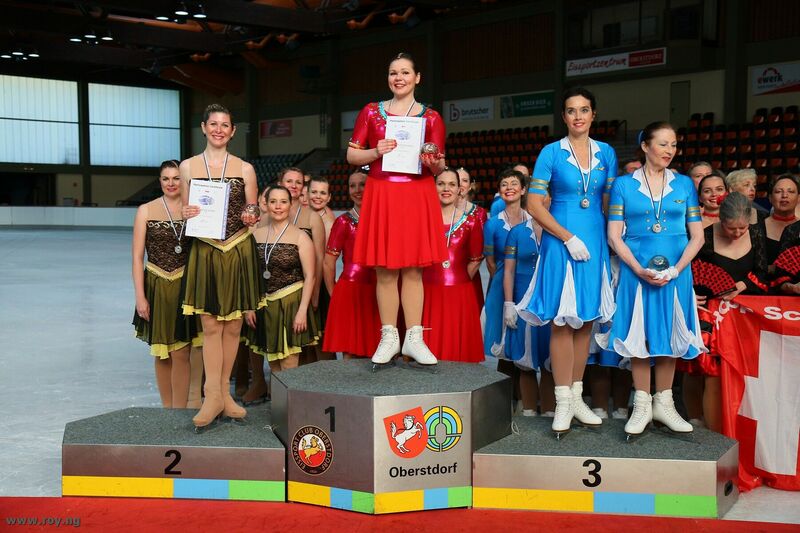 Team Starlight Diamonds of Switzerland landed on the third place of the podium with 36,48 points. Their intersecting circles were delightful to watch. The other Switzerland team Team Iceliners (34,37) started with a choreography of grace and elegance and concluded with the music of Carmen. Their intersection of a line and a tight circle was enjoyed by the spectators. Team Shadows from Finland landed on the fifth place (34,09). 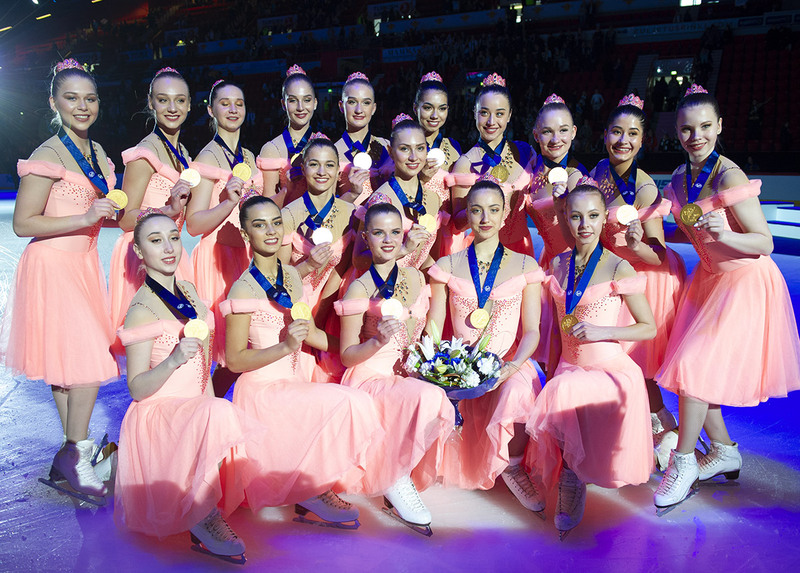 Team Bauhinia of Hong Kong, who competed in their first ever synchro event, earned 27,56 points which placed them at the sixth place. Team Dizharmony of Sweden earned 25,72 points and the all-male Team Riverbulls from Finland, who received much cheering from the whole arena all the way, received 22,84 points.